Are You Wasting Your Money On Bodybuilding Supplements? When I was younger, around 22 years old, and first getting into bodybuilding and trying to get as big as possible I was the guy buying every single new powder, pill and potion that promised miracles. I won’t lie. 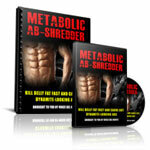 At first, it was really exciting buying the latest “breakthrough” bodybuilding supplement. I remember one ad promising “7 pounds of solid muscle in 7 days” and that was one of the tame ones so it sounded more believable. My Mom always said I was gullible. After dedicating myself to a strict supplement routine and choking back mysterious mixtures and drinks that were supposed to give the physique of my dreams I noticed the only thing changing was the amount of money adding up on my credit card. I didn’t notice a single friggin difference in muscle size. That’s when it stopped getting exciting and started becoming very frustrating. Eventually I ran in my Skinny Guy Savior who started showing me how to eat and train and I gained 21.5 pounds of lean muscle mass in the very first month I took his advice. And his advice didn’t include any magical bodybuilding supplements. I was getting ripped and muscular without supplements. Go figure. My Skinny Guy Savior revealed to me that some Utah Senator, Orrin Hatch, is the guy to thank for all the wasted money I flushed down the toilet because he chose not to regulate the supplement industry so that bodybuilding companies (and any supplement company can put anything they want in the bottle without FDA approval. 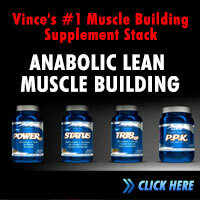 90% of the bodybuilding supplements on the market Don’t Work! In this next video I’m going to share with you from the Bigger, Faster, Stronger documentary you’re going to discover that most supplements cost LESS than three dollars to produce. Want to know their dirty little secrets? Watch this video to find out how they are getting away with blatantly lying to you and robbing you out of your hard earned money. As you’ll see, the supplement company does not care about you. Sure, maybe a small handful of companies have half-decent products but why look for a solution from an industry that has failed to earn our trust over and over? In my Inbox, I get a lot of feedback defending the “good guys” in the supplement industry and I would like to believe there are some really high quality products out there but when I see a video like this, I really lose all my trust and hope. 1. How do you feel about supplement companies being able to make products for $1-2 and than selling them to you for $60? 2. What do you think of the supplement industry being unregulated and not needing FDA approval? 3. Why do you justify buying supplements when you know that supplement companies can easily put out low quality products? It’s no wonder the supplement industry is a 24 BILLION dollar industry – anybody can make them and we keep buying them because we’re pathetically desperate! 1. Even IF certain supplements are high in quality, I never expect them to work miracles. 3. I’ve lost 90% of my trust in the supplement industry. 4. I’m so skeptical that even when a new product comes out and it’s from someone I trust, I’m not even interested in looking into it because I’ve wasted enough time and money in the past only to be disappointed. I never did like rejection. they either have amazing genetics. they have a true love for good old fashioned training. they live and breath a healthy bodybuilding lifestyle. they have been consistent and committed to their goals since they started. they are not afraid of hard work and have put in their dues. 7. 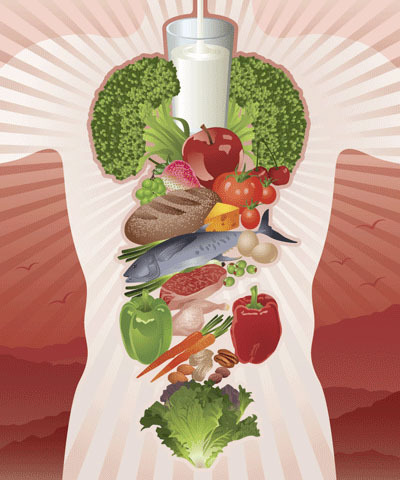 Lastly, you just don’t know what you’re putting in your body. You don’t – no matter what it says on the bottle -how in the world do you really know if it’s good or bad? Do you think any company is going to admit the truth about their absorption rates and manufacturing process? Why gamble your health and money on supplements if you’re not confident in the return you’re getting for your investment? Instead, I would encourage you to put your efforts into the 90% that DOES work. 1. 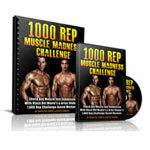 A structured and progressive training program. 2. A healthy and balanced eating plan. 3. A lifestyle that provides 8 hours of sleep each night. If there is anything you get from reading this email, it is the message that you don’t need to waste your money on useless and potentially damaging and dangerous supplements ever again. Want to know the scariest part about the supplement industry? The next new supplement designed just for you, has the same crap in it that the last supplement had in it and you’ll probably buy it. I really hope not because after you start following my program you’ll have lots of more money in your pocket to start spending on all the women (or your special someone) who are suddenly giving you lots of attention! 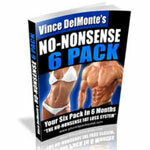 www.VinceDelMonteFitness.com <— Get a NATURAL healthy body today. P.S. I am 29 years old now and walk around at 210-215 and 11% fat most of the year and DO use a few nutritional supplements like fish oils, a multi and antioxidant pill and sometimes a greens product and protein powder but I only count on them making a 5-10% difference in the overall picture. I am fully aware of this when I pull out my credit card. I don’t mess with other supplements unless they’ve been on the market for at least three years and passed the test of time. That’s my little rule and with all the extra money I save, instead, I spend treating my girlfriend to fancy dinners or going on more vacations which are two of my little pleasures in life. Nice blog post. 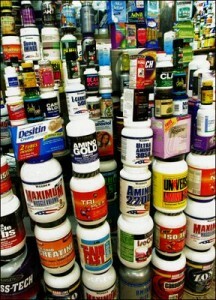 There are many people who waste their money on bodybuilding supplemnts rather than eating quality foods. Right on the money Vince! I stopped using pretty much everything (still use liver tabs) years ago after having spent half a decade using all kinds of supplements. 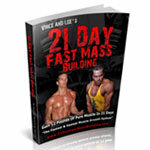 I felt better instantly and ever since, and can gain muscle/lose fat just as easily. These days I wouldn’t touch the stuff with a ten foot pole (well, except for liver tabs! :D) Keep up the good work! I have wasted probabily hundreds of hard earned $$ of supplements over the years and this post has made me realise that instead of spending my money on them i could have spent it on healthy foods and gym equipment. @rob – Try a whey protein isolate should stop the acne. I can appreciate how alot of Supplements are BS I mean some just have outlandish claims….But things like Whey Protein Powder are extremely important….I mean I don’t have the means to eat all my protein needs from whole foods alone..that’s just crazy. AND TO VINCE IF I VIOLATED IN ANY OF THE TERMS N CONDITIONS OF THE SITE I APOLOGOZE AND WILL NOT BREAK THEM AGAIN. I WAS JUST STATING MY OPONION. I THOUGHT THATS WHAT I WAS SUPPOSED TO DO!!!!!!!!!!!!! @phillip – Hey Philip, I sleep very well at night thank you…because I don’t promote getting big using products! I actually am not even a fitness competitor ’cause I never really understood why I would do that! 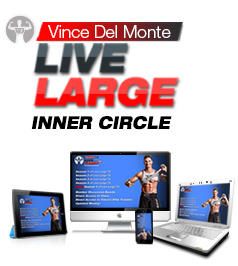 @Vince – Hi Vince, thanks for taking the time to respond; I appreciate that and by the way, I like the video series on Facebook. I’m getting some real good fitness and training tips from you and your guests. With regards to our discussion on Supplements, I just wanted to respond to your point about the author of the Comparative Guide to Supplements being paid by Usana. I am not sure where you got this infos but it’s totally false! “Lyle MacWilliam is the CEO of MacWilliam Communications Inc., an independent Canadian company that specializes in health science research and publishing. The company holds the copyright to its popular reference guides, the Comparative Guide to Nutritional Supplements, which was created in 1999, and the Comparative Guide to Children’s Nutritionals. These publications are written based on the results of an objective Blended Standard and rating criteria. MacWilliam Communications Inc. has no fiduciary ties to any of the products or manufacturers represented in its publications, nor does the company accept financial contributions from any agency in the production of its guides. The only source of revenue for the Comparative Guide to Nutritional Supplements is from sales of the publication. Mr. MacWilliam does not sell or market any nutritional products, nor does he benefit in any direct or indirect manner from the sales or marketing of any nutritional supplements in Canada or elsewhere. Usana is a publicly traded company and wouldn’t be able to come up with that crap if it wasn’t a true statement. Hye guys got a question, well i used to take whey protein but i had a lot of acne cause of that, and now i’m afraid of having it again…. so i’m triying to replace it with eggs and raw eggs for shakes….. do u all think is a good choice….???? vince this is a contiuation of my last post i was reading that you do use some products occasionally that have been on the market for at least 3 years. i would appreciate it if u would send me a list of any products if thier are any that a are worth my money. u can email me if u do not want to advertise any paticular product i believe this would be benifical for me and help with my job. that way i can tell others of your site n advise them that you have found this product to be benifical. again i would really appreciate this. n also would like to thank you again for your great program that has changed my life in every aspect. This is a controversial subject for sure. Has has sold the company, but I used to know a organic supplement creator and owner of the company herbacoy.com/. He used very clean organic substances to add to his capsules which he made on site, so you have to see the whole process to know what you are “really” getting. As fart as I know, the new owners have sustained his strategy and still sells a quality product. I watched the movie “Bigger, Stronger, Faster” and it was an eye-opener, especially in this segment about supplements, so you HAVE to be a educated consumer to get a high quality product nowadays. When in doubt, read labels, research the company, and go organic! Humm, even though I appreciate you opening your heart to what you think about supplements Vince, I must admit, your point of view is far from being objective. 1) You can’t take your experience as the norm. You reached your goal with your program but am I going to question that your program doesn’t work if I do EXACTLY what you say if it won’t produce the same results on me? No, because we all have different body composition and responses. their products following the Pharmaceutical GMP – Good Manufacturing Practices of Pharmaceuticals companies. Which means: What is on the label is in the product AND it is done following strict standards. 3) It is not just about the look you know… You look awesome and yes you have a great six pack, but did you know the dammage you do to your body at the non visible level (cellular level). This is science so maybe I shouldn’t expand too much on that subject for your website. 4) Buy the “Comparative guide to nutritional supplements” to select your multi. Don’t go just base on reading the label like these guys did on your Youtube sensation video trailer. In other words, if you want to get off the “subjective” point of view that you have based on gut feeling, you must follow science and facts. Not a bunch of unrelated comments that just discredit an entire industry that is currently getting more and more standards implemented. I used to be a distributor for Usana seven years ago. I’ve used some of their supplements off and on, but did not notice any difference compared to any other multi product I used. That was just my experience. It’s cool to see, years later, the success Usana has had and that they have maintained a very impressive reputation in many ways which is impressive to a guy like me. I hope the biz is going really well for you. The only thing that turned me off with USANA was when I found out that the guy who wrote the Comparative guide was hired by USANA to make it so how accurate is it really… again, my trust in the supplement industry was lost. I know they still make high quality products and no company is perfect. Regulating supplements by FDA can have very negative consequences on our access to vitamins, minerals, enzymes, probiotics, and many other useful supplements. The FDA is like many other people and organizations in the US are motivated by getting money in their pocket. The FDA regulation on supplements is not a right solution. Considering that FDA allows the use of drugs that have terrible side effects on human health, and sometimes even cause people their life; you don’t want organization like that to tell you what is safe for you to consume. I think that we have to do is to pay more attention to the quality of supplements by checking the status of the companies that produce them, their researches in this field and controlling methods in producing specific type of supplement. Nice post and video. Is really strange FDA not regulate supplements. I live here in Brazil and all supplements are regulated by the government. Not so in its components but also promises made in advertisements. In contrast some supplements tested for years and no known side effects, are banned without explanation, like creatine. @kaeto – be careful for what you ask for in terms of regulation. In Europe our supplement industry is about to be regulated which means it will be illegal to sell multi vitamins with more than the RDA. The RDA as we know isn’t really what is “recommended”, but in actual fact the minimum amount the body needs before it shows signs of malnutrition like scurvy etc. Hardly helpful to the population who like to take a multi vit! well that’s just so annoying…its like buying cooking oil that is worth a fortune and drinking it up till you get more fat…that’s cheating off your hard earned money,let me put it this way: “they trick people into buying a product that is expensive and does not even cost them 1/10 in producing”…and the FDA is to blame…and oh..the senator too,why won’t he do his job right for the people who voted for him?